Print this coupon and get $4 off when you order two lunch entrees. Sign up to receive exclusive deals, discounts, future coupons, and earn rewards points for discounts. Save 15% off your entire check for lunch or dinner when you present you AARP card at a participating Outback Steakhouse restaurant near you. Valid for dinner ( dine-in or curbside take-away). This page will show all outback's current coupons and deals. If there's no coupon, they don't have any at the moment. If the Florida Gators win the football game on January-2 Outback will be giving out free Bloomin' onions with any purchase On January-3rd, if Iowa Hawkeyes win it will be coconut shrimp. Get a free kids meal with purchase of an adult dinner entree. Get a free Bloomin' Onion with any purchase. Eat for $30 or more today at your loacl Outback Steakhouse restaurants and get a free $10 bonus card. Print coupon and receive up to 20% discount on your entree orders. Get 15% off your entire meal includes lunch, dinner or take away. Valid at all outback steakhouse restaurants except for California. Print coupon and get a kids meal for only $2.99 with the purchase of any adult entree. Get a free appetizer or dessert with any purchase (today only). Outback Steakhouse is an American casual dining restaurant chain based in Tampa, Florida with over 1200 locations in 22 countries throughout North and South. This Australian themed restaurant chain is known for its juicy steak and cuts of beef. 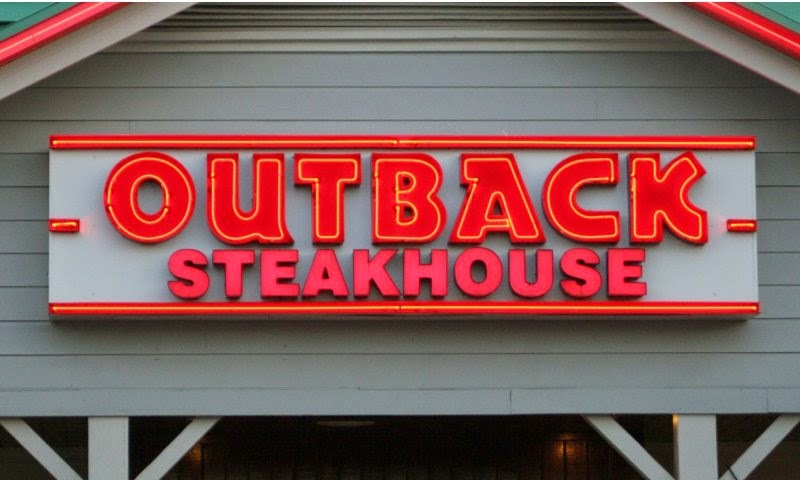 In the Outback, you’ll also find dishes like “Chicken on the Barbie,” and the famous “Bloomin’ Onion.” As they say in the Outback, “No rules, just right!”.